KOSCIUSKO — A Warsaw man was arrested after allegedly strangling a female subject. Jason Foster Sizemore, 41, 4990 N. CR 250E, Warsaw; also showing an address of 4179 Runkle Drive, Warsaw; is being charged with domestic battery with a child under 16 present, strangulation, and intimidation, all level 6 felonies; and domestic battery, a class A misdemeanor. On March 10, an officer with the Kosciusko County Sheriff’s Office responded to a report of a domestic fight between a female subject and Sizemore. 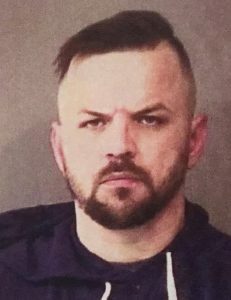 According to the affidavit of probable cause, the female said she found a bag of methamphetamine in Sizemore’s coat pocket and a text message on his phone from an individual wanting money that was owed. The officer observed an abrasion on the female’s neck and talked with a minor who was in the residence during the altercation. The minor said he didn’t see the altercation but could hear his mother yelling. Sizemore was booked in the Kosciusko County Jail on March 23, with a $5,250 surety and cash bond.